Last Monday, classes were suspended because of the heavy rains... again. The good news is that we got to spend more time with our Bea. We spent the whole day rolling in bed, eating and watching TV. After lunch, Bea's tutor arrived. I worked on my laptop as I kept one eye and one ear on them. After the tutorial, we decided to drop by Marquinton for some supplies. 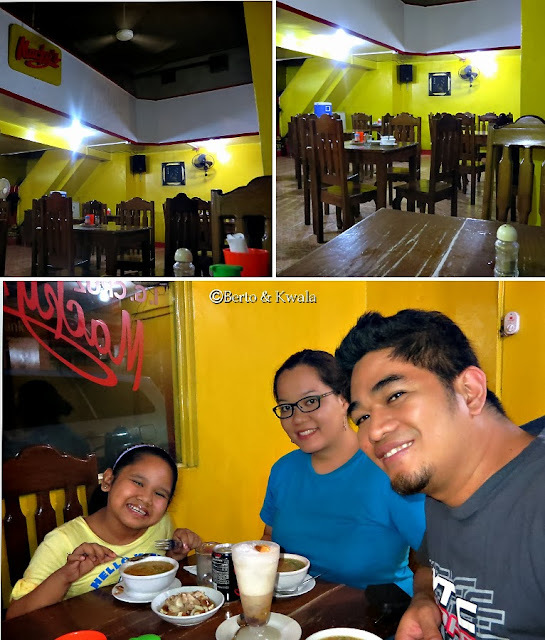 Then, because of the wet and cold weather, Berto and I were inspired to try one restaurant we've been meaning to try but haven't gotten around to actually trying... Macky's Goto. Located along JP Rizal St. San Roque, Marikina City, Macky's is always filled with people. Inside, there is homey feel, with wooden chairs and tables scattered about, the type you'd typically see in old households. Menu is quite simple and affordable. Goto - P25, Tokwa't Baboy - P30, Spaghetti - P32, Palabok - P30. 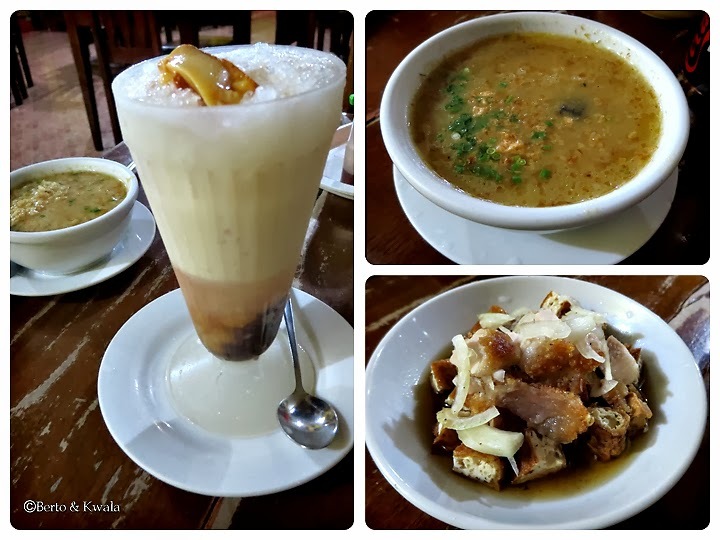 Halo-halo - P30, Sago't Gulaman - P30, Hamburger - P28, Chili Dog - P40. Drinks: Miniral Water - P10 while softdrinks in can are P12. Don't be fooled by the simple menu, the food was delicious! Goto was so tasty. No need to add calamansi to make it flavorful! Even Bea loved it, and finished her bowl immediately. This is also the best Tokwa't Baboy in my opinion. Instead of using boiled pork, they used crispy lechon kawali. Absolutely yummy! I wasn't too happy about the halo-halo though. I know, it was already cold but Bea wanted halo-halo so Daddy ordered it for her. And the price is just crazy! They could've raised the prices even just a bit, but they chose to keep the prices affordable. We arrived at around 6pm and were still served. However, customers that came after us were warned that there was no more Goto and Tokwa't Baboy since they were about to close! Whew! Lucky us, apparently we just about made the cut off! So if you're planning to try this resto out, come early. JP Rizal St. San Roque Marikina City. McDonald's Concepcion Marikina is Open!